The Russell Barn (our wedding barn) was erected in 1892 in Manilla, Indiana-just outside of Shelbyville and moved to Bloomington in 2016. When Jeff and I purchased the farm and seriously considered hosting events at the farm, we weren’t sure how to proceed. The only thing we did know for sure, is that we needed a large open covered space, and we knew we could not put up a modern barn. We thought that a modern barn would take away from the historic feel of the property and wouldn’t provide the atmosphere and character we wanted. 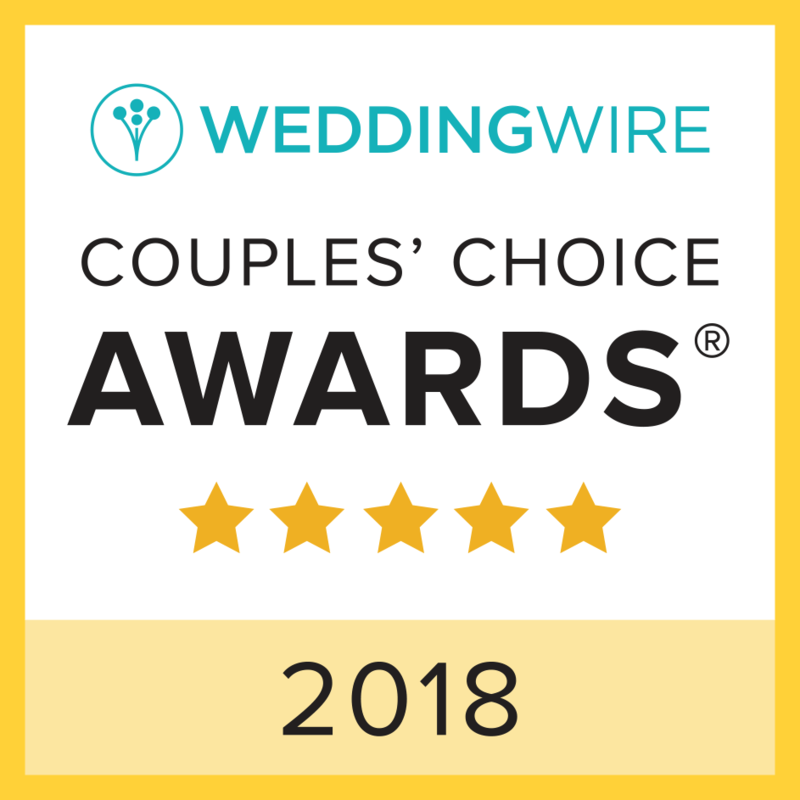 We communicated our thoughts to our families, looked at old barns and lumber on every applicable site on the internet, and eventually decided to wait. Wait for what, we didn’t know. 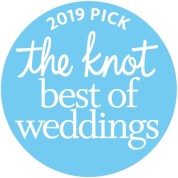 A few months later, well on our way to planning our own wedding in a tent, my dad called me and said that his cousin, Steve, knew of a barn in Shelbyville that the owners wanted off of their farm ground. The barn was very old, and was falling down in sections. The siding was coming off, and getting in the way of the family’s farming operation. After a quick conversation with my dad, our hopes were very low with what the barn would look like – until we saw the pictures. The barn looked phenomenal and was certainly one of a kind. It was a 40′ x 74′ timber frame barn that was 40′ at the apex with three and a half stories for a hay storage operation, and it was in pretty bad shape. 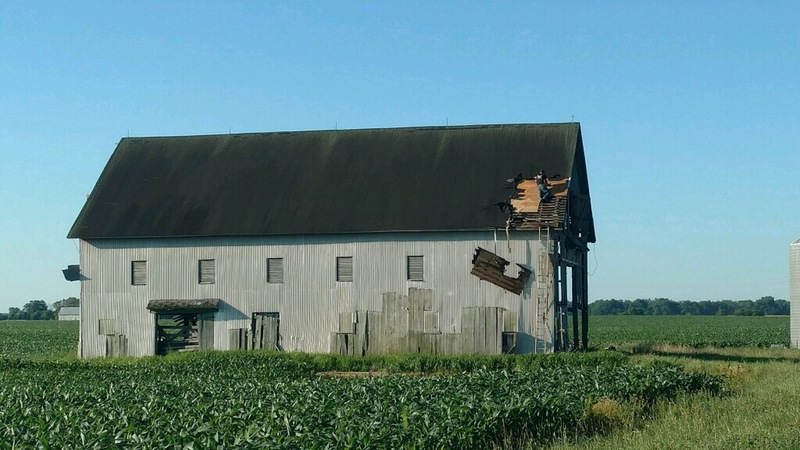 The back corner of the barn had fallen in,the weathered side of the barn’s beams were rotted out and the siding had nearly all deteriorated. 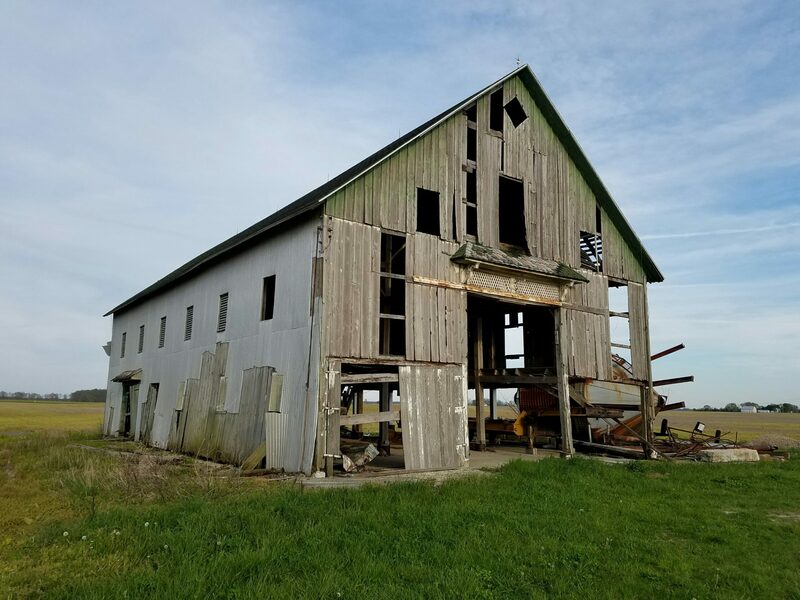 But unwilling to be deterred by some rotten wood, Jeff and I jumped on the Indiana Barn Foundation Facebook page to see who in Indiana moves old barns across the state. We found Kyle Clifton at Indiana Barns, LLC and sent him a Facebook message on April 25th of 2016. He quickly responded and asked that I call him. The first thing he said to me was that it wasn’t every day he gets a message to move a barn he just looked at the previous week. It turns out, the owners wanted the barn gone in a hurry. He was planning to disassemble it and use the beams for reclaimed wood in other projects. 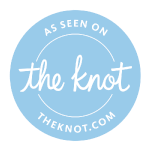 Jeff and I knew that we couldn’t let this barn go, so we asked Kyle to modify his plans and instead of just disassembly, plan to reassemble on our site – preferably before our wedding, 6 months away. 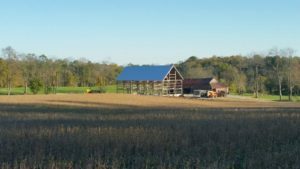 Indiana Barns quickly began work on disassembling the barn in Manilla. They first started by removing the roof, and then the siding. Indiana Barns saved as much of the siding as they could in hopes of reusing it as the decking under the new roof. In little time, the barn was nothing but the timber frame shell. 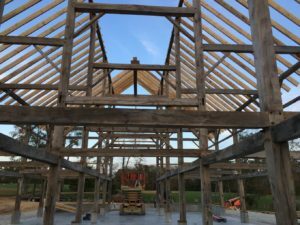 The Indiana Barns team slowly and methodically disassembled the structure, taking very special care of all of the large, very old beams. Meanwhile, the barn site preparation at Whippoorwill Hill, in Bloomington, began. Kyle’s team, utilizing very heavy equipment, did the site preparation work, shaving down the grade to make a flat area where the barn would be built. Nothing is ever perfect, so of course they hit rock that required a bit more work and time. But shortly thereafter, the footer was poured below the freezing point in the ground to avoid movement with freezing and thawing. 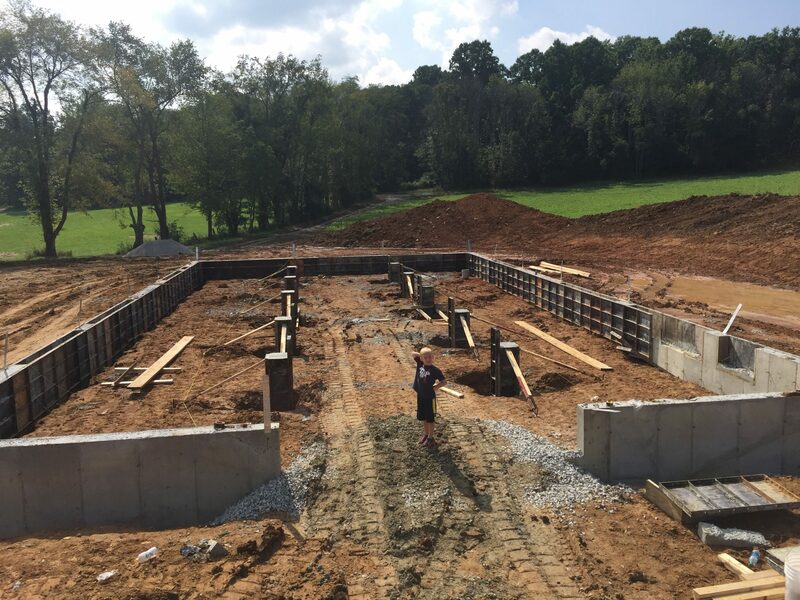 Within the footer was an abundance of rebar that began the next step forms for poured concrete walls were added and the poured concrete walls were emplaced. Finally, when the forms were removed and gravel was added around the site, we felt like we were making some real progress. 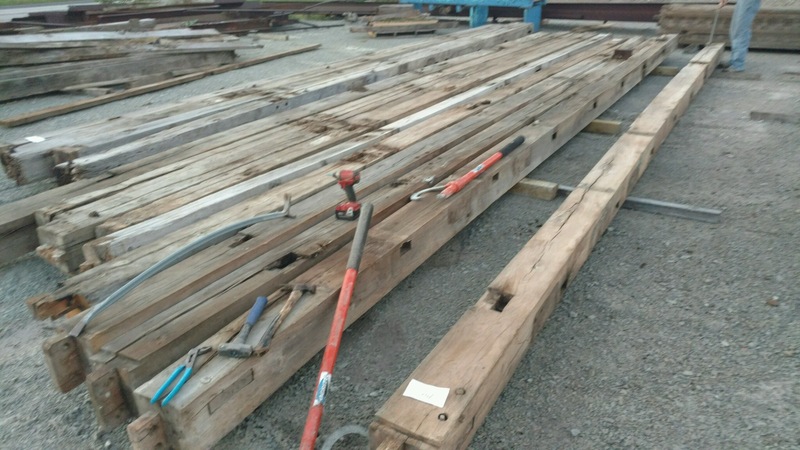 From Manilla, the beams were then taken to Peru, Indiana where the Indiana Barns team treated the beams with an insecticide,cleaned them and did a great deal of structural work. 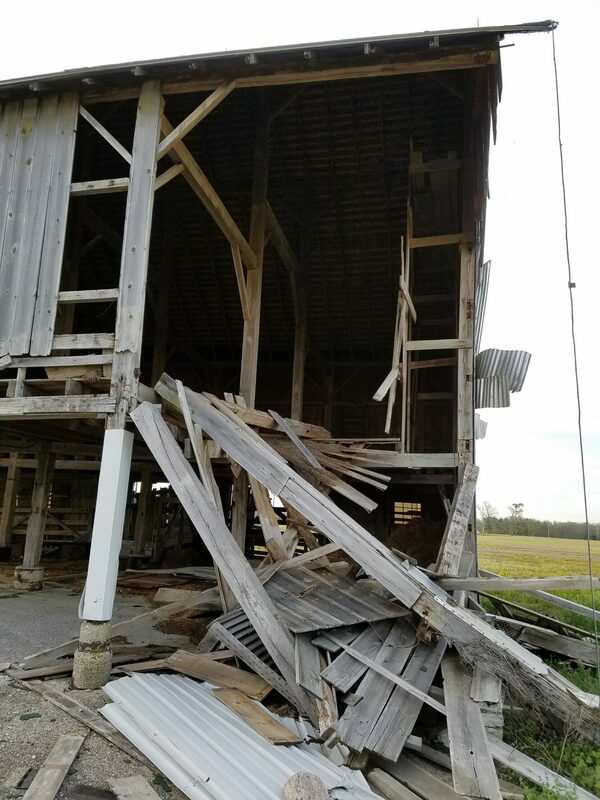 Many of the beams were in worse shape than Kyle anticipated, so he had to find supplemental timbers from other barns to replace two vertical corners, and many of the bottoms of the beams most exposed to weather over the years. After the cleaning and work was done on the beans, the barn was then loaded up and brought to the prepared site in Bloomington (see photo above-our son, Slate, 5, standing in the middle of the construction site for scale). While the barn was still vertical in Shelbyville, Indiana Barns tagged each and every beam so they knew how it all went back together. Kyle and his team used those tags on the beams to rebuild the structure-like a big lego. A lego that requires a ton of elbow grease and cranes. This barn is atypical. 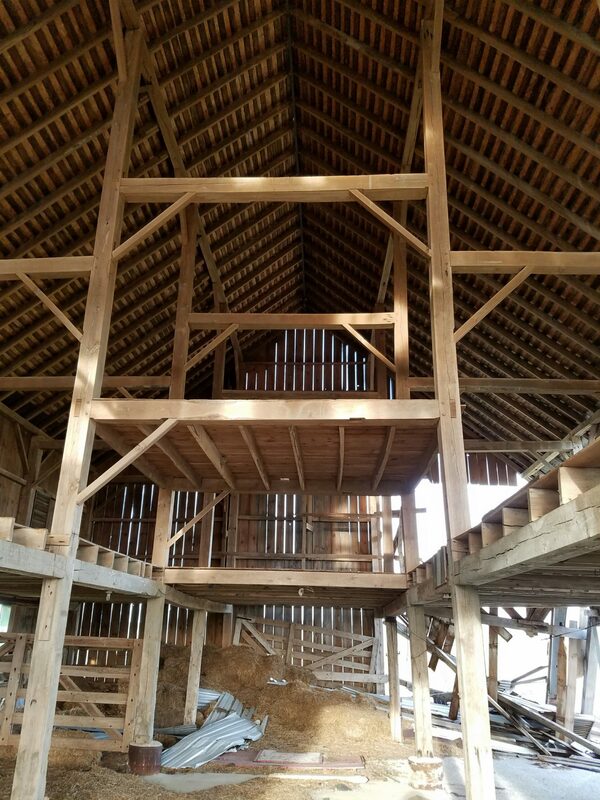 Usually, timber frame barns have large sections that all go up at once. This barn, has three sections (bent’s) that have to go up individually. 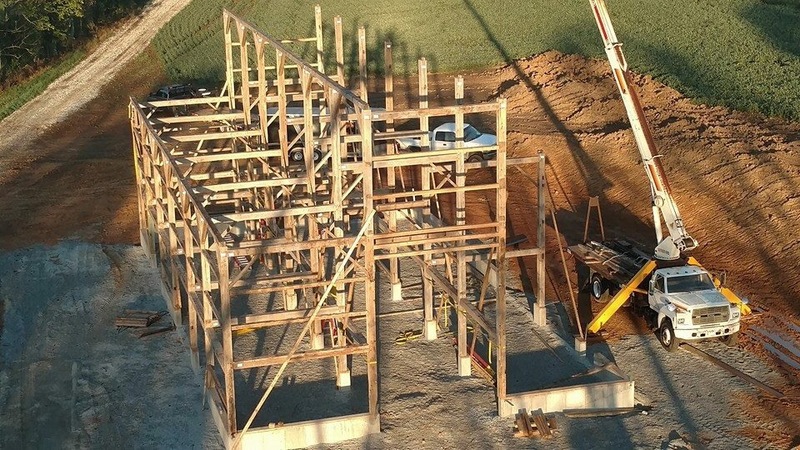 As you can see in the picture to the right, the middle section of the barn went up first, then came the left hand side and finally, the right hand side. 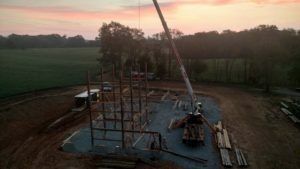 Each side hooked into the center, and if you look closely, all of the beams needed to land perfectly on the concrete pillars or walls of the foundation where they would then be tied down – you know, so the barn doesn’t blow away. We received a phone call from Kyle during this stressful time of the barn move, communicating with us that he wasn’t sure the beams were going to line up with the concrete walls or pillars. Of course, he (and we) measured and remeasured the original foundation in Manilla, so no one could understand why the beams weren’t lining up. However, when Kyle finally got the barn all put together and was able to move it a centimeter here a millimeter there, it all worked out. 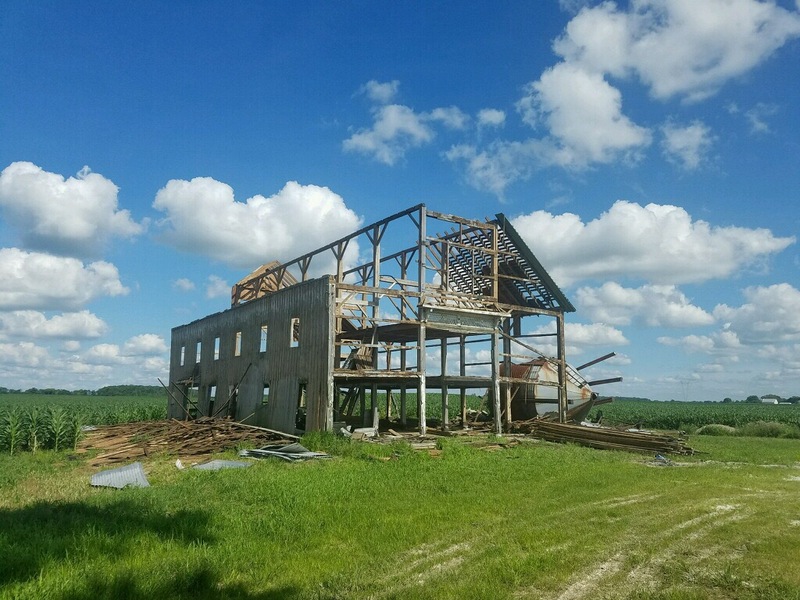 What we learned was that the pre-restoration barn had bowed and twisted on itself over the past 100 years, and the beams weren’t as straight as they once were, making the new pillars and walls harder to hit. When it was all said and done, Kyle’s team knocked it out and got it standing straight again, tall and proud. 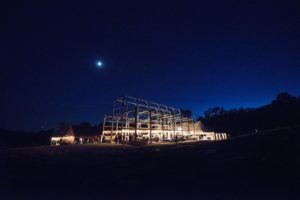 The barn’s frame was finally complete about two or three weeks before our wedding and we had a decision to make; throw a party in a construction site or throw a party in a tent near a construction site. So, we threw our party in a construction site with a tent near the construction site. Thankfully, Ian Miller with Millbuild, the best concrete company this side of the Mason Dixon, came in and poured our barn floor. He finished the second pour (it took two because of the size of the barn), 4 days before our wedding. Thankfully, the weather held out for us so we could get concrete trucks in and a good finish on the floor. We then took a much needed honeymoon and while we were away, Kyle and his team worked on the roof to keep our beloved timbers safe. Unfortunately, when Kyle was taking the barn down, the hardwood rafters from the original barn were bent from years of being in a warm, moist, barn environment, so much to our chagrin, we purchased new, bigger, pine (which apparently is a stronger species than hardwood) rafters straight from a kiln in Georgia to ensure structural integrity for years to come. Kyle had those up about half way through our honeymoon and then began work on the decking and roofing. 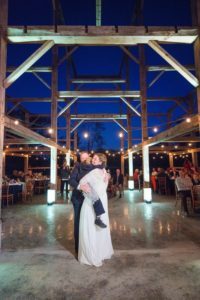 One of the most epic parts of our wedding barn is that all of the original wood that could be salvaged from the site at Manilla was used in putting it back together. Not only does that save money, but it also adds so much character. The decking that Indiana Barns put on top of the rafters is all of the old siding. When you’re inside of the barn, you can see the history on the ceiling. That history is now safe now, repurposed under a galvalume metal roof. The old hay rack was also installed in the barn. One end was missing, so it doesn’t go end to end like it used to, but it’s installed and again, makes it feel like the old barn inside. 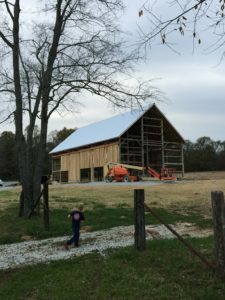 Shortly after the roof was installed, the poplar board (of the board and batten) siding and the LVL, a very strong engineered wood, were installed on the exterior of the barn. The LVL was installed two feet below the bottom of the roof in preparation for a future addition to the barn. The LVL is where the future additions will structurally tie into the existing barn. We plan to install shed roofs on the two long sides and the back of the barn for additional covered gathering space, storage, catering kitchen and bathrooms. At this point, Indiana Barns also started to frame out of the big sliding doors in as many of the bents as we could put them in where the doors wouldn’t hit each other. The 6 sliding doors (three on each long end) weren’t original to the barn in Manilla, but we elected to add them to be able to open up, or close up the space for events. We noticed the nicest breeze that flows through the barn after the siding was on and the spaces for the doors were framed out. When installing the poplar siding, the Indiana Barns team installed the siding flush on the vertical sides with no gaps. Before installing the batten, the siding needed to dry and shrink. That made for a pretty awesome view on the interior of the barn, a great deal of light seeped through those cracks and made the barn feel that much more majestic. 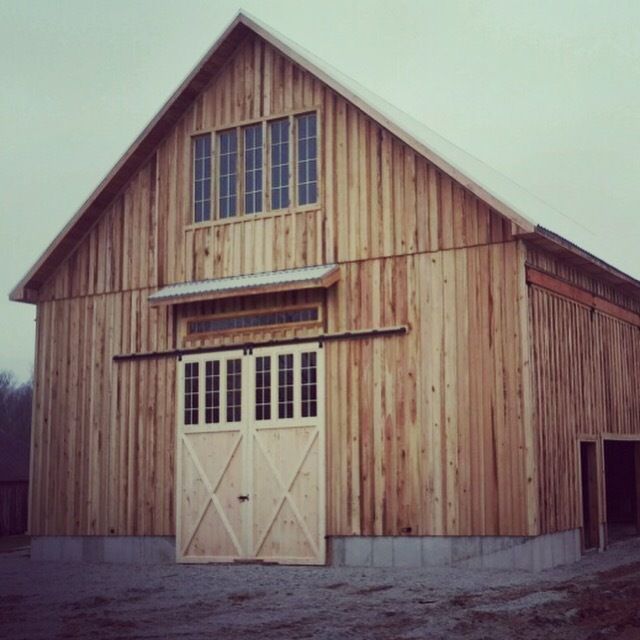 A few short weeks later, the barn received its face. The goal was to have the barn resemble what it was in Manilla. The large, east facing hole in the apex of the barn received an awesome window. The goal of that window was to mimic the barn door that use to reside in that same spot to get hay in the barn. Next, the small roof under the window was made to mimic the adorable little roof from the original barn and the transom window under the roof fills in a space that used to be lattice. Finally, the two very, very, large barn doors replace some doors that were missing from the barn when we first saw it. It’s hard to judge scale in the photo to the left, but those barn doors are 15′ tall. As a six foot tall person, you’d be hard pressed to stand outside and see in those windows. 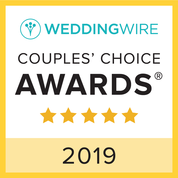 We are so looking forward to seeing some photography of the front of the barn in the background with happy couples smooching in the foreground! 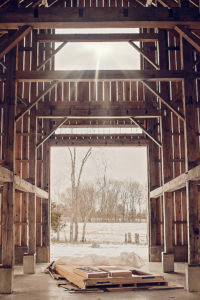 As the barn’s interior and exterior develop further we will add photos and narrative!